Providing you the best range of 2d autocad designing services, 2d cad design service, 2d drawing 3d modeling services, 2d and 3d detailing service, 2d to 3d cad conversion services and 3d cad designing service with effective & timely delivery. Powerful and easy to use drafts prepared by us.Speed up product development, improve design communication.Rapidly bring products to market.2D/3D drafts and detailing sheets are prepared to provide visual representations for dimensions and demarcations. Floor plans from any source can be made into a 3D model that can be “walked through” to get a better feel for the design.Simple sketches by non-engineers can be turned into complex parametric modelsAutomatic BOM information (parametric model)CAM data for your machinesGet data such as volume, surface area, mass, and center of gravity at the click of a buttonPerform FEA (Finite Element Analysis) and other testingFind problem areas and interferences in your designsConvert to a BIM model in Revit format! Now your customers can simply add your product to a BIM design!Your designs can now be 3D printed!Reduce employee related hiring costs!Models can be photo-realistically rendered for product literature, business proposals, etc.Completed modes can be converted to a host of engineering formats including Revit, Solid Works, Catia, etc.PDF and image file formats can be created from the new model. Floor plans from any source can be made into a 3D model that can be “walked through” to get a better feel for the design.Simple sketches by non-engineers can be turned into complex parametric modelsAutomatic BOM information (parametric model)CAM data for your machinesGet data such as volume, surface area, mass, and center of gravity at the click of a buttonPerform FEA (Finite Element Analysis) and other testingFind problem areas and interferences in your designsConvert to a BIM model in Revit format! Now your customers can simply add your product to a BIM design!Your designs can now be 3D printed!Reduce employee related hiring costs!Models can be photo realistically rendered for product literature, business proposals, etc.Completed modes can be converted to a host of engineering formats including Revit, Solid Works, Catia, etc.PDF and image file formats can be created from the new model. 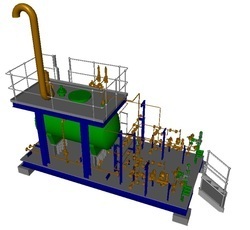 Our engineers are very efficient in converting 2D paper drawings to Computerized 2D drawings and creating 3D models and their associated drawings. We also use raster and vector conversion of legacy data to convert into an editable format. Our services are immensely helpful in data combining and removal of redundant data after the conversion of drawings on paper or electronic data from one CAD system to a client-specific CAD system. 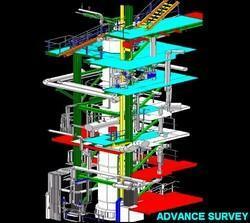 n any project, different equipment are required as per the process requirement. These equipment are general shown in P&ID which specific symbol. 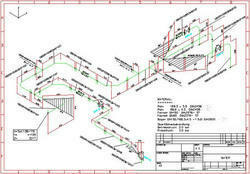 The layout engineer & designer are responsible for locating all the equipment in the plot plan as per the process, maintenance, operation & safety requirements. 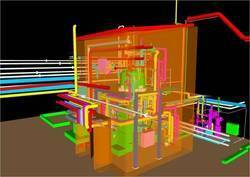 PDMS designer than has to model this equipment at the location shown in the plot plan. 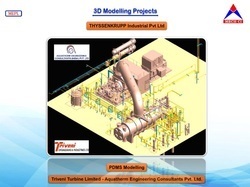 PDMS designer has to model the equipment as per the mechanical vendor drawing received from static or rotating department. Industrial process piping (and accompanying in-line components) can be manufactured from wood, fiberglass, glass, steel, aluminum, plastic, copper, and concrete. The in-line components, known as fittings, valves, and other devices, typically sense and control the pressure, flow rate and temperatureof the transmitted fluid, and usually are included in the field of piping design (or piping engineering). 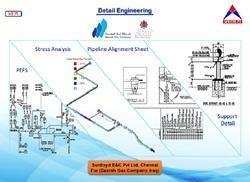 Piping systems are documented in piping and instrumentation diagrams (P&IDs). 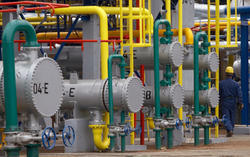 If necessary, pipes can be cleaned by the tube cleaning process. 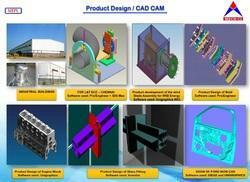 Looking for 2D & 3D Modeling ?